It was a distressing day for a fellow reporter at The Engineer a few weeks ago when he discovered his brand new mobile phone – the sleek HTC Legend – had mysteriously disappeared from his pocket. After hours passed and he checked all the possible places it could be, Stephen Harris realised that his phone had become just another statistic. It had become one of the 10,000 mobile phones the Metropolitan Police estimates are stolen per month. Has anybody seen this ’phone? Thankfully his insurance company was willing to cover the cost of buying a new one, which was estimated to be over £300, but there is nothing that can console the feeling of violation one gets when their property is taken. With each high-tech, must-have portable electronic device that comes out, we are becoming more and more interesting targets for criminals. A study conducted by Esure last year found that London commuters can carry more than £3,000 worth of technology on their person at a time. The figure seems steep to me and I’d wonder how anyone could bear that much hardware at one time but there’s no doubt many of us walk around with some fairly valuable stuff. Just a £429 iPad and £419 iPhone would be enough to satisfy any thief. Last year the Home Office began tackling the issue of mobile phone theft prevention through an unusual angle. With the Design Council, it established a project called Design Out Crime, which aimed to show how designers can stop crime from ever happening. A panel including Vodafone’s chief cryptographer and a director of design at Nokia chose three crime deterring solutions in the project’s Mobile Phone Security Challenge. 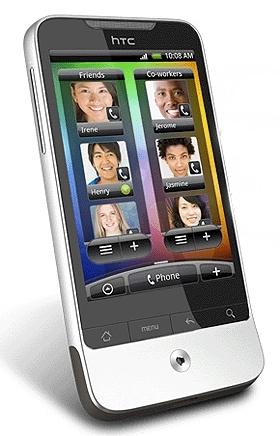 The first called Tie, from product designer and consultancy Rodd, pairs a mobile phone with one or more SIM cards. The sensitive data on the phone is encrypted with a 128 bit key that allows a user to send an SMS to lock it when stolen. The SMS will effectively make the paired phone and SMS useless. When the thief attempts to replace the SIM with a new one, the phone will shut down and become unusable. Design Out Crime: Tie from Design Council on Vimeo. The next solution called TouchSafe hopes to prevent criminals from taking advantage of NFC (Near Field Communication) technology, which allows users to make payments for purchases with their mobile phone. Consumer technology specialist Proxama and Minima, a Suffolk-based design and product development consultancy, have developed an RFID card that users must carry separately from their NFC phone. Before making a purchase, the user must swipe the phone past the RFID card to launch and validate its m-commerce payment application. Design Out Crime: TouchSafe from Design Council on Vimeo. The final winning solution is from product development company Data Transfer & Communications Limited and PDD, a provider of integrated design and innovation skills. Their i-migo concept could prevent the all-too-common occurrence where a mobile phone is slyly stolen from a restaurant or pub table right under the owner’s nose. The i-migo device, which resembles a USB stick, uses Bluetooth to regularly back up data from a mobile phone. Similar to the TouchSafe card, the device must be carried separately from a user’s mobile phone. If the i-migo device is separated from its paired phone, it will immediately ring an alarm alerting the owner the phone has been stolen. The phone will also automatically lock to protect sensitive data. Design Out Crime: i-migo from Design Council on Vimeo. I asked Stephen if his phone may have been saved by something like the i-migo, and he said he wasn’t sure. As he tried to remember the last place he had his phone, he couldn’t help but think it may have departed from his pocket during a clumsy moment in a local clothing store. ‘The technology they really need to invent is one to stop my phone from falling out in a shop changing room,’ he said. Rather than getting the phone to lock when a thief attempts to insert a new SIM wouldn’t it be more desireable for it to explode? Or in serious mode now identify the thiefs location. He should check inside the lining of his jacket in case the slim phone ended up there via a hole in his pocket. There are apps that send the GPS location to your email/text. But surely if the ‘red’ guy stole your bag (as in the first clip) they would more than likely get away with the card and/or the bluetooth component?! Doesn’t appear to be entirely fool proof. What’s wrong with a key/sim lock system? Or maybe finger print recognition? None of the security measures will actually prevent your phone being stolen. It is the user’s responsibilty to learn to look after their valuables. I bet most people are far more careful with their wallets and purses than with their phones. A phone that no longer works if stolen is not a deterant. The thief can still sell it on and it can be broken up for parts so is still of value. In addition, if you have two separate items required for your phone, there is more chance of you loosing one of them, or the bluetooth device could fail, rendering your phone useless. My advice is is not to waste money on expensive gimmicks and learn to be more security conscious. Some advice might be: Tightly guard your moble devices for 3 months. After that the technology is outdated and no one will want the device anyway. An ancient technology that certainly lowered re-offending levels, with the added benefit of reducing the prison population. I tether my Motorola Vegas to an ID holder neck strap. Then if it falls out of my pocket it doesn’t break, especially when I am up a tower. The cell store thinks it is neat, since they have to fix broken phones and it is a hassle. Adding in features to make a device or program not work under certain conditions is never a good idea as it increases the likelihood that they won’t work at all. I have done software tech support for years and by far the most common problem is security run amuck. My own commercial programs are designed to work even if stolen, this has kept support calls to an absolute minimum and also lets my customers know that I am more interested in their needs than my security. I think that hardware is a similar case. No elaborate techno-overkill will save you from losing equipment, and I’m not sure that most thieves really think ahead to future usability. If it’s valuable keep an eye on it, and don’t carry a week’s pay loose in an open pocket. The best way to prevent expensive personal electronic items being stolen is to tie your mobile phone to one end of a piece of elastic and your MP3 player to another and slip the elastic through the sleeves of your coat. I never lost a mitten using this method. You can mark you phone with a Forensic Mark such as SelectaDNA or a visible mark such as Selectamark and then list it on the Data base so that if it is found it can be traced back to the rightful owner. These marks also make the phone less desirable to a theif as they are harder to sell and worth less money. I have a basic mobile phone in case I break down and do not use any “wi-fi” type products. Although some would perhaps suggest that I am a Luddite I would point out that if a pick-pocket targets me the most valuable thing they would get is my cigarette case, I have no worries about random hacking of sensitive information whilst out and about and I do not feel compelled to spend what little time I have for generally enjoying life furiously working away on the internet. Anything tied to a sim card ties you to a service provider, but then phones can be unlocked and any old sim fitted. How long before the pairings and tie to other security measures can be unlocked?Normally I’d agree with Stephen Mosely, but I have been steadily upgraded by consequtive employers to advanced technology. However, my Nokia E63 is in a case on my belt fastened with a “pop’ fastener, good as many pick pockets are I think they’d look for easier pickings.